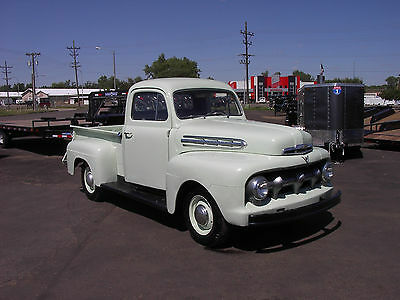 1951 51 Ford F1 F100 PU pickup flathead 4 speed Nice restored pickup. Runs and drives like a new pickup. Incredibly nice. If you have any questions call me 701-471-3376 I know a lot of trucking companies. If you need help with transportation ask me I expect a $1,000 deposit within 24 hours after the auction ends. I expect the balance paid within 48 hours after the auction ends. I'd like it picked up within 30 days after the auction ends. I will accept cash when you pick it up or a bank wire transfer. This 1931 Model A Victoria #A4741190, indented firewall, has undergone a complete and extensive, ground up, nut and bolt restoration, done to Model A judging standards. Great care has been taken to assure that every part of this car is Ford correct. 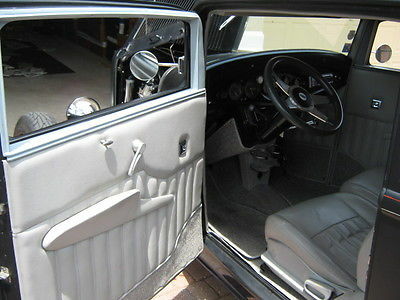 This low production car was restored with the idea of never selling it, so, no expense was spared or detail overlooked. The engine was rebuilt by a well known Model A engine rebuilder. Internally it was built to tour (after showing). It has a counterbalanced crankshaft, and a touring cam. The only thing externally that is not absolutely correct is that it has a Brumfield high compression head. It has the correct side bowl carburetor. It has a lightened flywheel and V-8 clutch and pressure plate. The transmission is completely rebuilt. The rear end has been rebuilt with the 3:54-1 touring gear. The frame and all connected parts were disassembled and powdercoated. The underside of the car is as nice as the topside. The body has been carefully painted the correct (by Ford Archives) Ford Maroon using PPG Concept. It has the Vermillion stripe. All of the wood is new. All of the stainless was professionally restored and polished. All of the nuts and bolts and washers and lockwashers are of the same configuration and color of the originals. The tires are new Firestones 4.50/4.75 x 19, with correct valve stems and hardware. The interior is the correct broad cloth. The curtains were handwoven to exactly match the original fabric. All of the garnish moldings are woodgrained in the correct stiple mahogany. It has the correct rebuilt windshield wiper that parks to the left. It has the factory pop-out switch. It does have the Flathead Henry floating brake system which is easily replaced with original, but it sure does stop better. It has all new cast iron brake drums with shoes arched to the drums. The top has the correct molding bent to the roof radius with the rubber insert. This car runs and drives like new. It has fewer than 100 miles since restoration. I have many more pictures. 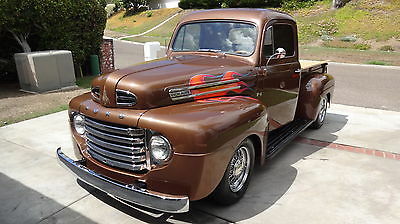 1949 Ford F1 Pickup Nice original all steel California truck, 425 Olds, turbo 400 automatic trans, power steering & front power disc brakes, Edelbrock carb. 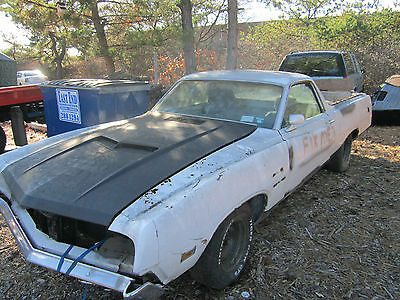 & valve covers, 10 bolt GM rear with parallel leaf springs, Chevelle front clip, GM tilt wheel, air cond., tinted windows, chrome spoke rims w/ 1932 V8 hub caps, P205/75R15 front tires & P225/70R15 rear tires. Beautiful wood in bed with chrome strips, bed cover. Tan vinyl interior (showing a little age), Jensen am/fm cassette radio, Stewart Warner gauges, stock bench seat w/ seat belts. Built in Fresno, California, older frame-off restoration, 18,000 miles since completed, drives like a car. FULL PAYMENT IS DUE WITHIN 3 DAYS FROM END OF AUCTION. TRUCK IS FOR SALE LOCALLY AND I RESERVE THE RIGHT TO END THE AUCTION AT ANYTIME. Car is sold as-is, no warranty or guarantees. Buyer pays shipping. Please no dealers or trades. Excellent Good Average Needs attention Front End Minor steering-wheel play. Wheels balanced and aligned (tires have normal wear). Excellent Good Average Needs attention Interior Radio operates properly.Interior complete, only looks average, seat may be torn, loose or cracked door panels. Excellent Good Average Needs attention Tires Tires showing some wear Excellent Good Average Needs attention Van box and flatbed Sound dry box, secure door(s), floor in good shape, average appearance. Excellent Good Average Needs attention Maintenance Professionally maintained. Excellent Good Average Needs attention Options Operate properly - AC, Power Steering, H-D Cooling, AM/FM, Power Brakes, Towing Package. Justin Cohen (844) 587-7055 1333 N Federal Hwy Fort Lauderdale Florida 33304 ? ? ? ? 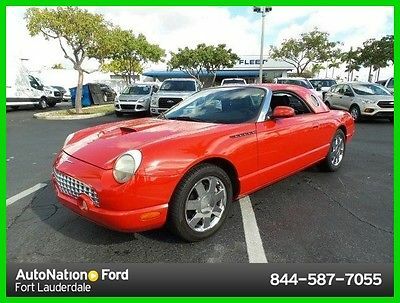 2003 Ford Thunderbird ? ? ? ? 1 of 19 ? View Large Images ? ? Vehicle Information VIN: 1FAHP60A63Y102604 Stock: 3Y102604 Mileage: 32,499 Color: Torch Red Trans: Automatic Engine: 3.9L 8 Cylinder Engine MPG: 18 City / 24 Highway Drivetrain: Rear Wheel Drive ?Directions to Dealer ?Contact Us Why Buy From Us? Dealing with AutoNation gives you peace of mind. We are the world's largest automotive retailer with over 10 million cars sold to date. We have donated over a million dollars to fight breast cancer. All of our cars are fully inspected by our Ford Certified Technicians. Description 2003 Ford Thunderbird This is an immaculate car. Well maintained and not daily driven. Car has both tops. Vehicle went thru the shop and passed all the way not needing a thing. Its a flawless car for the year and miles. You will always feel comfortable shopping with us and with our 1price used cars you get the right price right up front. Any questions please contact me directly for the eBay price JUSTIN COHEN 844-587-7055 Options Options ? Leather Seats ? Standard Paint Standard Features Basic Information Stock Number: 3Y102604 VIN Number: 1FAHP60A63Y102604 Make: Ford Model: Thunderbird Model Year: 2003 Vehicle Type: 2Dr Car Vehicle Trim: Deluxe Interior Color: Black Ink Exterior Color: Torch Red Body Type: Convertible Engine MPG Automatic City: 18 MPG Automatic Highway: 24 Engine Description: 3.9L 8 Cylinder Engine Fuel Type: Gasoline Fuel Induction: Sequential MPI Valves Per Cylinder: 4 Aspiration: Normal DriveTrain Driven Wheels: Rear-Wheel Transmission: Automatic Wheels Spare Rim Type: Steel Drive Train Type: Rear Wheel Drive Suspension Independent Suspension: Four-Wheel Stabilizer Bar: Front And Rear Instrumentation Clock External Temp Low Fuel Level Tachometer Roof and Glass Convertible Roof: Power Convertible Window: Glass Rear Window Front Wipers: Variable Intermittent Privacy Glass: Light Rear Defogger In Car Entertainment Antenna Type: Window Grid Audio System: AM/FM Stereo Premium Brand: Audiophile Premium Speakers: Audiophile Speakers: 8 Seats Drivers Height: Power Drivers Lumbar: Manual Drivers Power: 6 Passenger Power: 2 Seating Capacity: 2 Front Seat Type: Bucket Upholstery: Leather Convenience Center Console: Full With Covered Storage Cruise Control Cupholders: Front Door Pockets: Driver And Passenger Power Outlets: 2 Remote Trunk Release: Power Steering Adjustment: Tilt And Telescopic Steering Power: Speed-Proportional Power Steering Power Mirrors: Power Remote Power Door Locks Windows: Power Windows Comfort Air Conditioning: Automatic Air Filtration: Interior Air Filtration Trunk Lights: Cargo Area Light Dash Trim: Aluminum Door Trim: Aluminum Mats: Carpet Front Reading Lights: Front Shift Knob: Leather Steering Wheel Trim: Leather Vanity Mirrors: Dual Vanity Mirrors Features Bumpers: Body-Colored Door Reinforcement: Side-Impact Door Beam Safety NHTSA Passenger Grade: Excellent NHTSA Driver Grade: Good NHTSA Side Impact Front Grade: Excellent Turning Circle: 35.2 ABS: 4-Wheel Anti Theft System Engine Immobilizer Headlights Auto Delay: Auto Delay Off Headlights Dusksensor: Dusk Sensing Front Headrests: Manual Adjustable Driver And Passenger Airbag: Cancellable Side Airbag Door Reinforcement: Side-Impact Door Beam Doors Rear Door Type: Trunk Dimensions Front Hip Room: 53.7 Inches Front Shoulder Room: 57.3 Inches Front Leg Room: 42.7 Inches Luggage Capacity: 7 Cu.Ft. Length: 186.3 Inches Width: 72.0 Inches Height: 52.1 Inches Wheelbase: 107.2 Inches Contact AutoNation Ford Fort Lauderdale - eBay Sales 1333 N Federal Hwy Fort Lauderdale Florida 33304 View Map Ask for:Justin Cohen Contact: ?Contact Us Direct:(844) 587-7055 CARFAX Vehicle History Report VEHICLE HISTORY REPORTS Dont buy a used car without CARFAX! ?3 Owners ?Vehicle Qualifies for the CARFAX Buyback Guarantee ?No Total Loss Reported to CARFAX ?No Structural/Frame Damage Reported to CARFAX ?No Airbag Deployment Reported to CARFAX ?No Indication of an Odometer Rollback ?No Accidents / Damage Reported to CARFAX ?No Manufacturer Recalls Reported to CARFAX View Free History Report Disclaimer: Not all accidents or other issues are reported to CARFAX. The number of owners is estimated. See the full CARFAX Report for additional information and glossary of terms. About Us Terms Subject to prior sale. Quoted price subject to change without notice to correct errors or omissions. Price may include manufacturer ("OEM") incentives which are subject to OEM qualification criteria and may be contingent upon OEM finance company approval. See store for details. Excludes tax, tag, registration, tag agency/electronic filing fee and up to $699.95 dealer fee. Standard features are based upon trim level. Accessories, options and color may vary. Placing a Bid: Your bid constitutes a legally binding contract to purchase this vehicle. Please do not bid if you're not seriously interested or financially able to purchase this vehicle. Please read eBay's User AgreementAutoNation Ford Fort Lauderdale - eBay Sales reserves the right to, Obtain and verify the registered information of all users who bid on this auction. Cancel any and all bids at our discretion, or end the auction early if necessary.Bidders Age: You must be 18 years of age or older to Bid. Special eBay Bid Retraction Rules: Please read eBay's "Retracting a Bid" If you place a bid before the last 12-hour period of the auction: You may retract that bid before that last 12-hour period but only for exceptional circumstances. You will not be allowed to retract that bid during the last 12-hour period of the auction. If you place a bid during the last 12-hour period of the auction: You will be allowed to retract the bid for exceptional circumstances but only if you do so within one hour after placing the bid.Funds & Financing: For help in arranging for a Pre-Approved loan or for any questions please e-mail or phone Justin at (844) 587-7055 prior to bidding. Buyers Inspection: AutoNation Ford Fort Lauderdale - eBay Sales has done our best to disclose all information known about this vehicle for auction. AutoNation Ford Fort Lauderdale - eBay Sales welcomes a buyers inspection. If you plan to have a buyers inspection, please make sure you inspect the vehicle prior to the auction ending. Inspection fees if any are Buyers responsibility. 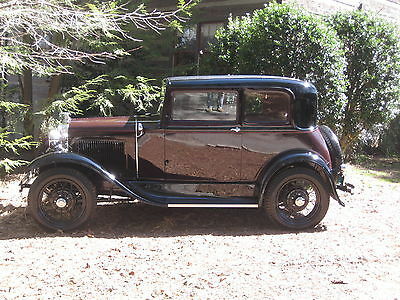 Representations and Warranties made by seller: This vehicle is being sold "as is". Manufacturer's warranties may still apply. Extended warranty may be available, e-mail or phone Justin at (844) 587-7055 for details. No representations or warranties are made by seller, nor are any representations or warranties relied upon by bidders in making bids. Taxes and Registration fees: Out of state buyers are responsible for all state, county, city taxes and fees, as well as title service fees in the state that the vehicle will be registered. All taxes and fees must be paid in full in order for vehicle to be titled and registered. Title Information: Vehicles titles may be held by banks or lenders as collateral for loans. In many cases there is a delay in receiving the original instruments up to 21 days from the time we pay a vehicle off. While we usually have all titles in our possession at closing, there are occasions where we may be waiting for them to arrive. If payment is made by cashier's or personal checks we will hold all titles for 10 days or until funds have cleared. Shipping & Delivery: All shipping charges are buyer's responsibility. AutoNation Ford Fort Lauderdale - eBay Sales will help with shipping arrangements but will not be responsible in any way for claims arising from shipping damage!Licensed Carriers are generally insured for $3,000,000.00. We assume no responsibility for damages incurred after the vehicle leaves our showroom. All shipping arrangements are provided by AutoNation Ford Fort Lauderdale - eBay Sales as a courtesy. We are not affiliated with any carrier. Any claims or other communication regarding shipment of vehicles will be between you and the shipper, not with AutoNation Ford Fort Lauderdale - eBay Sales. The amount of time it takes for delivery is dependent on the carrier, but is generally 7-14 days from the date the vehicle is picked up from our facility until it is delivered to your destination. Verify with the shipper for an Estimate Time of Arrival to be sure. Finalizing your Purchase: AutoNation Ford Fort Lauderdale - eBay Sales will contact the successful high bidder by e-mail after the auction closes. Successful high bidder MUST communicate with Justin at AutoNation Ford Fort Lauderdale - eBay Sales by e-mail or phone (844) 587-7055 within 24 hours of the auction ending to make arrangements to complete their transaction. If we cannot confirm your intention to buy or the sale is not completed within 5 days, we reserve the right to relist this vehicle or sell to any other qualified buyer. In order to secure bid on vehicle, Successful bidder (BUYER) must within 24 hours of bid closing send to Seller a Deposit in the amount of 10% by major credit card, cash in person or bank certified funds. Within 72 hours of bid closing, Buyer must send balance of funds by cash in person or bank certified funds to Seller. At time of sending initial deposit, Buyer MUST fax copy of their State issued valid Driver License. Furthermore, before said vehicle is released for shipment to Buyer, all other Sale related and title related paperwork must be signed and returned complete to Seller. Disclaimers Accessories & color may vary. Dealer not responsible for errors or omissions. New vehicle pricing may already include applicable manufacturer incentives which may expire at any time & are subject to incentive qualification criteria & requirements. Manufacturer incentive data & vehicle features is provided by third parties & believed to be accurate as of the time of publication. Please contact the store by email or phone for details & availability of incentives. Sales tax or other taxes, tag, title, registration fees, government fees, not included. $699.95 Dealer Service Fee not included in quoted price. Some used vehicles may have unrepaired safety recalls. You can check recall status by VIN, at www.safercar.gov. See store for details. Some restrictions apply. Copyright © 2017 Auction123 - All rights reserved. - Disclaimer +- Auction123 (a service and listing/software company) and the Seller has done his/her best to disclose the equipment/condition of this vehicle/purchase. However, Auction123 disclaims any warranty as to the accuracy or to the working condition of the vehicle/equipment listed. The purchaser or prospective purchaser should verify with the Seller the accuracy of all the information listed within this ad. Selling a Vehicle? Create Professional Listings Fast and Easy. Click Here! 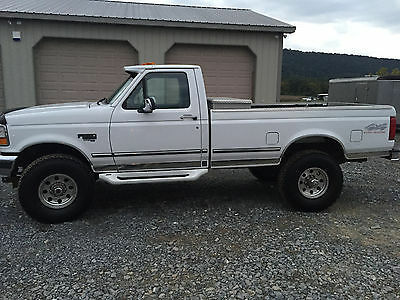 I am selling my white 4x4 f350 xlt powerstroke. It has 287724.9 miles. Manuel transmission. 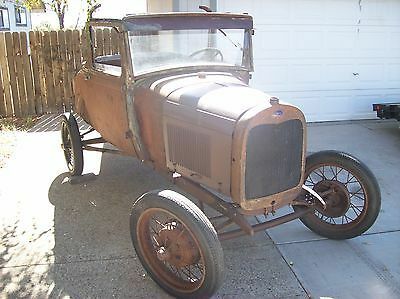 Its in great condition - no rust. I am the original owner of the truck. New tires. Gooseneck hitch. Tool box. No mechanical problems. Always garage kept. Never been chipped or any after market turbo parts. no dents. very few scratches. snow plow hook up (fisher) Never been wrecked. Excellent truck! 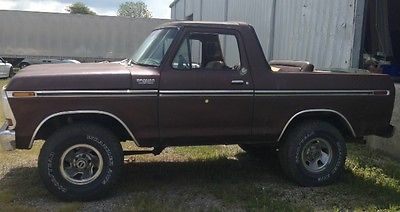 Ford Bronco Custom Full Size 400 Big Block 4x4Running and driving truck!As you know this is a rare, desirable, and all around awesome truck!It's fun and the possibilities are endless as to what you can create with it!It has good tires and wheels, clean title in hand. 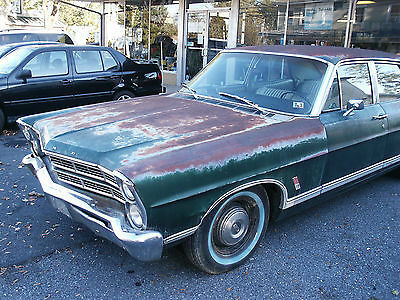 There is rust on it and the interior is a bit rough (not as rough as most original interiors). The motor runs great and was just rebuilt (Heads have 300 miles on them)! I also had the carb rebuilt in it. It's ready to find some mud! 2012 Ford F-150 SVT Raptor FORD CERTIFIED 2012 Ford F-150 SVT Raptor, 6.2L V8, 1-OWNER, FORD CERTIFIED! CLEARANCE! John Knight (855) 472-9383 20777 Katy Freeway Katy Texas 77450 ? ? ? ? 2012 Ford F-150 4x4 SVT Raptor 6.2L CREW CAB, FORD CERTIFIED Vehicle Information VIN: 1FTFW1R69CFA74525 Stock: CFA74525 Mileage: 79,145 Color: Tuxedo Black Metallic Trans: Automatic Engine: 6.2L 8 Cylinder Engine MPG: 11 City / 16 Highway Drivetrain: Four Wheel Drive ? ? Options and Standard Features Options ? 6.2L Efi V8 Engine ? Electronic 6-Speed Selectshift Transmission ? 17" Mach Aluminum W/ Paint/Machine ? Locking Removable Tailgate ? Running Boards ? Four Wheel Drive ? Elect 4X4 Shift-On-Fly ? Off Road Shocks ? Skid Plates ? Hill Descent/Off-Road Mode ? Power Sliding Window W/Defrost & Privacy Tint ? Unique Leather Power Seats ? Auto Dim Rearview Mirror ? Ford Certified Pre-Owned ? 1-Owner Basic Information Stock Number: CFA74525 VIN Number: 1FTFW1R69CFA74525 Style Name: 4X4 Styleside 5.5 Ft. Box 145 In. WB SVT Raptor Make: Ford Model: F-150 Model Year: 2012 Vehicle Type: Pickup Vehicle Trim: SVT Raptor Interior Color: Black Exterior Color: Tuxedo Black Metallic Body Type: Supercrew Cab Engine MPG Automatic City: 11 MPG Automatic Highway: 16 Engine Description: 6.2L 8 Cylinder Engine Fuel Type: Gas Fuel Induction: Sequential MPI Valves Per Cylinder: 2 Aspiration: Normal DriveTrain 4WD Type: Part-Time Descent Control: Hill Descent Control Differential Limited Slip: Mechanical Driven Wheels: Four-Wheel Locking Hubs: Auto Transfer Case: Electronic Transmission: Automatic Wheels Rims: Machined Aluminum Wheels Spare Rim Type: Steel Drive Train Type: Four Wheel Drive Suspension Independent Suspension: Front Stabilizer Bar: Front Instrumentation Clock Compass External Temp Low Fuel Level Tachometer Trip Computer Roof and Glass Front Wipers: Variable Intermittent Privacy Glass: Deep Rear Defogger In Car Entertainment Antenna Type: Fixed Audio System: SIRIUS AM/FM/Satellite Speakers: 4 Seats Drivers Height: Power Drivers Lumbar: Manual Drivers Power: 6 Passenger Lumbar: Manual Seating Capacity: 5 Front Seat Type: Bucket Upholstery: Cloth/Leather Folding: Fold-Up Cushion Convenience Center Console: Full With Locking Storage Cruise Control Cupholders: Front And Rear Door Pockets: Driver, Passenger And Rear Overhead Console: Full With Storage Power Outlets: 3 Seatback Storage: 2 Steering Adjustment: Tilt And Telescopic Steering Power: Speed-Proportional Power Steering Power Mirrors: Power Remote Power Door Locks Windows: Power Windows Comfort Air Conditioning: Manual Center Console Trim: Metal-Look Dash Trim: Metal-Look Door Trim: Metal-Look Mats: Vinyl/Rubber Front And Rear Reading Lights: Front And Rear Shift Knob: Leather/Chrome Steering Wheel Trim: Leather Vanity Mirrors: Dual Vanity Mirrors Features Aux Transmission Cooler: HD Bumpers: Black Door Reinforcement: Side-Impact Door Beam Running Boards Safety NHTSA Passenger Grade: Average NHTSA Driver Grade: Good NHTSA Side Impact Front Grade: Excellent NHTSA Side Impact Back Grade: Excellent Turning Circle: 47 ABS: 4-Wheel Head Airbags: Curtain 1St And 2Nd Row Safety Locks Engine Immobilizer Headlights Auto Delay: Auto Delay Off Headlights Dusksensor: Dusk Sensing Front Headrests: Manual W/Tilt Rear Headrests: 3 Rear Center Seatbelt: 3-Point Belt Safety Stability Control Driver And Passenger Airbag Side Airbag Stability Control: Stability Control With Anti-Roll Door Reinforcement: Side-Impact Door Beam Towing and Hauling Trailer Hitch Doors Liftgate Window: Power Rear Door Type: Tailgate Side Door Type: Conventional Dimensions Front Head Room: 41.0 Inches Front Hip Room: 60.5 Inches Front Shoulder Room: 65.9 Inches Front Leg Room: 41.4 Inches Rear Head Room: 40.3 Inches Rear Hip Room: 64.6 Inches Rear Leg Room: 43.5 Inches Rear Shoulder Room: 65.5 Inches Length: 232.1 Inches Width: 86.3 Inches Height: 78.5 Inches Wheelbase: 145.0 Inches Ground Clearance: 9.3 Inches Max Gross Vehicle Weight: 7,300 Lbs. Curb Weight: 6,210 Lbs. 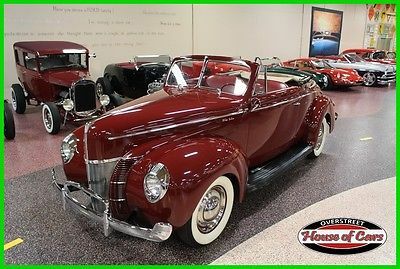 CARFAX Vehicle History Report VEHICLE HISTORY REPORTS Dont buy a used car without CARFAX! ?CARFAX 1-Owner ?Vehicle Qualifies for the CARFAX Buyback Guarantee ?No Total Loss Reported to CARFAX ?No Structural/Frame Damage Reported to CARFAX ?No Airbag Deployment Reported to CARFAX ?No Indication of an Odometer Rollback ?No Accidents / Damage Reported to CARFAX ?No Manufacturer Recalls Reported to CARFAX View Free History Report Disclaimer: Not all accidents or other issues are reported to CARFAX. The number of owners is estimated. See the full CARFAX Report for additional information and glossary of terms. 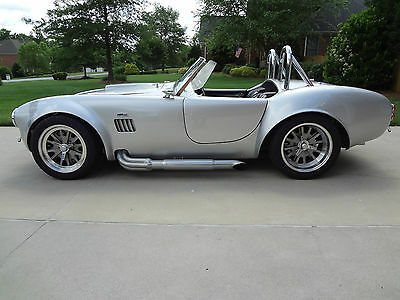 Message Welcome to another eBay Auction from AutoNation Ford Katy. We are part of the AutoNation group, recognized as one of the most respected and largest automotive retailers in the United States with over 220 stores in 15 states from Coast to Coast. Our Preowned vehicles undergo a thorough inspection before they are offered for sale. We employ many specialized vendors that recondition our vehicles to a level that the new owners will appreciate. AutoNation Benefits to You: SmartChoice Pricing: We make buying a vehicle simple. You'll get a low price, upfront, on every vehicle, so you'll save time and money. Money-Back Guarantee: (New and Used) Every vehicle we sell is backed by a 3-day, 150-mile Money-Back Guarantee. No questions asked. Vehicles with over 80k miles receive a 50-point inspection, including fresh oil change, new state inspection sticker, Full Detail, Exterior and Interior reconditioning, and are sold AS-IS. We'll Buy Your Car: We provide a Guaranteed Trade-in Offer from the comfort of home, honored for 7 days or 500 miles at any of our locations. Hassle-Free Financing: We offer a wide range of finance and lease programs with a menu that makes financing with us a clear and simple choice. We are committed to providing top service in all areas of purchasing a vehicle. From the quality of the vehicle offered, to the transparency of financing offerings, with the goal to make your buying experience such that you will want to come back again and again and tell your friends and family. Why Buy From Us? Our pre-owned vehicles are backed by a 3-day, 150-mile Money-Back Guarantee. If for whatever reason you decide to return your vehicle, we’ll refund your money, no questions asked. It is just the peace-of-mind you would expect from America’s Largest Automotive Retailer. Contact AutoNation Ford Katy 20777 Katy Freeway Katy Texas 77450 View Map Ask for:John Knight Contact: ?Contact Us Call:(855) 472-9383 Hours Mon-Sat:09:00 AM-09:00 PM CST Sunday:Closed ? Apply Now Secure Credit Application Applying for a vehicle loan online is one of the quickest and easiest application methods. Our secure application is easy to complete, all you need are a few personal and employment details. Description Leather Seats,Four Wheel Drive,6.2L EFI V8 ENGINE,BLACK; UNIQUE LEATHER/CLOTH FRONT BUCKET SEATS,TUXEDO BLACK METALLIC This vehicle is Worry-Free. It includes a limited warranty, a Money-Back Guarantee and passed our strict inspection process. Best of all the price you see is the price you pay. No haggling. No back and forth. No pressure. And this price is so good it is guaranteed. Now that's Worry-Free. Looking for a clean, well-cared for 2012 Ford F-150? This is it. This 2012 Ford F-150 comes with a CARFAX Buyback Guarantee, which means you can buy with certainty. Today's luxury vehicle is not just about opulence. It's about a perfect balance of performance, comfort and attention to detail. 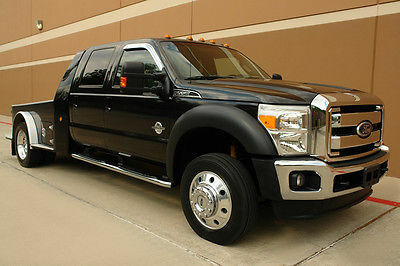 This 2012 Ford F-150 is the perfect example of the modern luxury. Taking the road less traveled has never been more fun than with this 4WD. With improved performance, mileage and acceleration, this 2012 4WD Ford F-150 SVT Raptor is king of the off-road. More information about the 2012 Ford F-150: Ford claims class-leading fuel economy, as well as best-in-class towing and horsepower for both its base V6 engine as well as both of the available V8s. Ford also says that it's the only automaker to offer a 6-speed automatic transmission across its entire model lineup. The F-150 is also the only full-size pickup so far to offer electric power steering, which saves fuel and gives an improved steering feel. Across the lineup, the F-150 carries through with the full redesign that the truck received for 2009 since then, the F-150's very purposeful, upright instrument panel and vastly upgraded interior materials have stood out in this very competitive class. And with the new 36-gallon fuel tank, the F-150's 750-mile driving range puts it in a class by itself. Interesting features of this model are wide range of models for all budgets, tastes, and needs, Smooth, strong new powertrain lineup, class-leading towing and payload capacities, available luxury features, and fuel efficiency Some used vehicles may have unrepaired safety s. You can check status by VIN at https://www.safercar.gov About Us ?Credit Application ?Directions to Dealer ?Contact Us Terms Terms: Auction Policies Please ASK. Do not assume anything that is not listed is included. All eBay pricing for new vehicles on eBay, including the Buy-It-Now price and if applicable, the reserve price, are after rebates made available to our region (Houston region) by the Ford Motor Company, and may require financing with Ford Credit at standard rates to qualify or additional actions stipulated by Ford. Rebates may vary from region to region. The eBay pricing, including the Buy-it-Now price and the reserve price is available exclusively to United States residents. Please contact us to see if you qualify for different rebates in your region. All eBay pricing, including Buy-it-Now and reserve may be in lieu of all factory special finance rates. AutoNation Ford Katy reserves the right to sell all listed vehicles to our walk up traffic on site at anytime before the conclusion of the auction. AutoNation Ford Katy reserves the right to cancel any and all listings, including listings with active bids, due to the vehicles selling on site and as such, AutoNation Ford Katy will make a good faith effort to remove vehicles as they sell. AutoNation Ford Katy shall not be liable for any such cancellation for any reason. For your protection, AutoNation Ford Katy does not send out second chance offers at any time for any vehicle. Customers with zero or negative feedback must contact us before bidding. Otherwise, we reserve the right to cancel your bid. Understand that this is only to protect the integrity of the auction. Texas is a title-holding state. Sometimes it can take up to 21 business days to recieve a title from the lien holder. Titles that are paid for by cashiers check are held up to 14 days for the checks to clear. If you need the title for export, please call to verify if we have the title. Notice to Brokers, Dealers, and Exporters including International Customers State law prohibits us from selling New Vehicles (not previously titled) directly to Brokers or Dealers. If you represent a broker or dealer and are interested in a vehicle for your customer, we can facilitate the sale provided all documentation including titling is prepared in the actual buyer's (end-user's) name. All New Vehicles must be registered in the United States prior to export. MSO's (Certificate of Origin/Title) will not be released until proof of registration is received. Call for details. Payment Types Payment for the vehicle may be made by institutional financing, either prepared by Champion Ford Katy or prepared by the buyer through their own personal lender, or cash via certified funds/cashier's check. Note: Personal and Cashier's Checks, and Money Orders may require 14 days to clear before vehicle is released to buyer. In some cases, financing with Ford Credit may be required to qualify for Buy It Now price (new vehicles only). Taxes and Fees If you are a Texas resident, you must pay 6.25% sales tax on transactions. Out of state buyers are not charged sales tax unless required to do so by the lender. Customers are responsible for registering the vehicle in their home state. In compliance with policies designed to protect your identity and reduce fraud, all transactions completed away from the dealership site require notarized signatures. The customer is responsible for registering the vehicle in their home state and paying all applicable fees and taxes. In addition to any required tax, title, and license fees, all buyers pay a $122.50 Documentary fee, a Vehicle Inventory Tax (VIT) of 0.216% (approximately $22.00 per $10,000), and $23.75 state inspection. For vehicles being registered outside of Texas, an additional fee of $130 may apply. Please call with any questions. Deposit An immediate REFUNDABLE deposit of $500 is required within 24 hours of winning the auction. Buyers must be willing and able to complete transaction within 5 calendar days of winning the auction. If no contact is made within 18 hours, AutoNation Ford Katy reserves the right to relist the vehicle for sale. Buyer Pickup The buyer is responsible for the pick up or shipping of a vehicle. As a courtesy to our customers, we will provide pick up at local airports Bush Intercontinental (IAH) or Hobby Airport (HOU)) during normal business hours. AutoNation Ford Katy can help arrange shipping at buyer's cost if so desired. Buyer assumes all responsibility once vehicle leaves the dealership. Disclaimers Accessories & color may vary. Dealer not responsible for errors or omissions. New vehicle pricing may already include applicable manufacturer incentives which may expire at any time & are subject to incentive qualification criteria & requirements. Manufacturer incentive data & vehicle features is provided by third parties & believed to be accurate as of the time of publication. Please contact the store by email or phone for details & availability of incentives. Sales tax or other taxes, tag, title, registration fees, government fees, & Dealer Documentary Fee not included in quoted price. Some used vehicles may have unrepaired safety recalls. You can check recall status by VIN, at www.safercar.gov. Money Back Guarantee, 3 days or 150 miles, whichever comes first. Subject to certain terms & conditions. See store for details. Some restrictions apply. Copyright © 2017 Auction123 - All rights reserved. - Disclaimer +- Auction123 (a service and listing/software company) and the Seller has done his/her best to disclose the equipment/condition of this vehicle/purchase. However, Auction123 disclaims any warranty as to the accuracy or to the working condition of the vehicle/equipment listed. The purchaser or prospective purchaser should verify with the Seller the accuracy of all the information listed within this ad. Selling a Vehicle? Create Professional Listings Fast and Easy. Click Here!